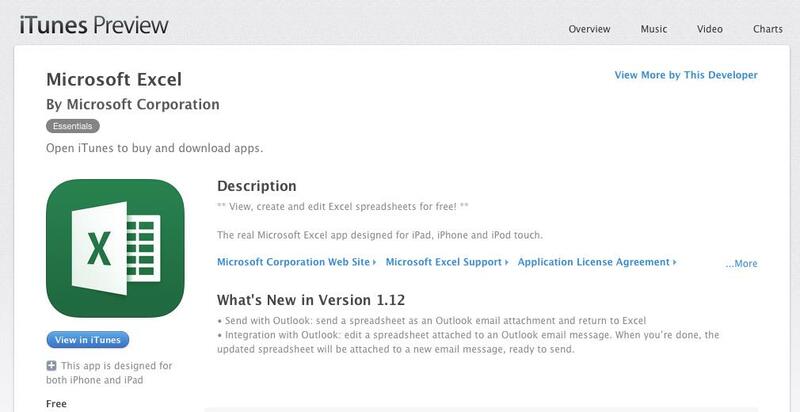 This tutorial serves as an introductory guide to Excel for iOS, with special focus in the available functions of the mobile version in contrast with the original software. Excel for iOS allow you to open and save existing documents created in your computer or other device. These files can be retrieved and stored either locally or using cloud storage as iCloud, Dropbox, or Onedrive. Then, you will be able to edit the individual cells just as in the full desktop version. 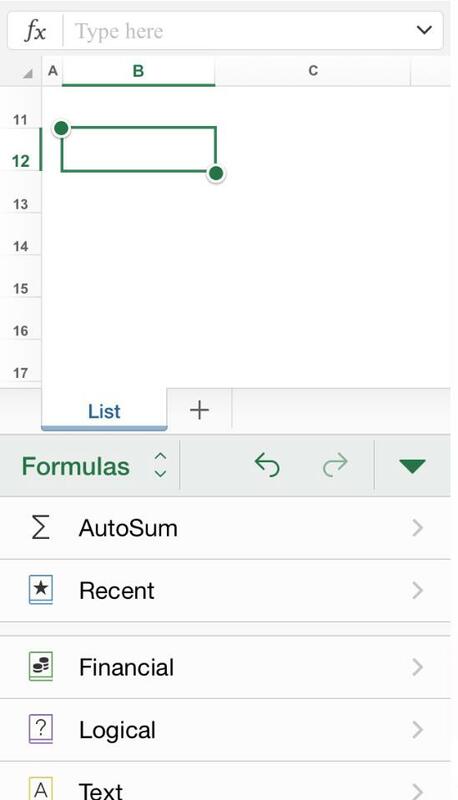 Excel for iOS allows you to access to a wide variety of formulas, counting with a special formula shortcut system with a touch keyboard to facilitate access to them. The data can be filtered and customize, including adjusting columns, rows and text. 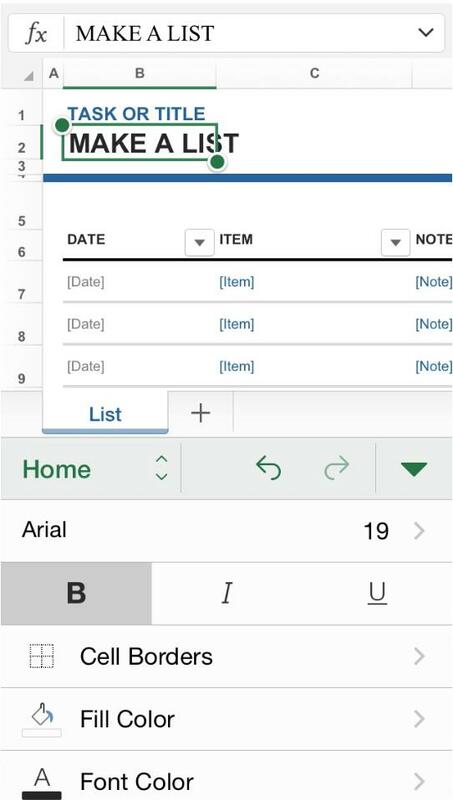 The “freeze” and “unfreeze” capabilities are also available in Excel for iPhone, as well as the Autofill function, managing of sheets, wrapping words, number formatting and creation of shapes and charts. Excel for iOS has, however, some limitations to be noted. Pivot table styles are not possible to customize, or even create in the mobile version. The same goes for custom colors to shapes and WordArt’s data customization (and creation). Other advanced popular functions as shadows and reflection effects for pictures are not available, including adding or modifying chart elements (although, you can, however, add charts for free). Naming cells or ranges is also not allowed, as well as creating conditional formatting rules, or entering array formulas. 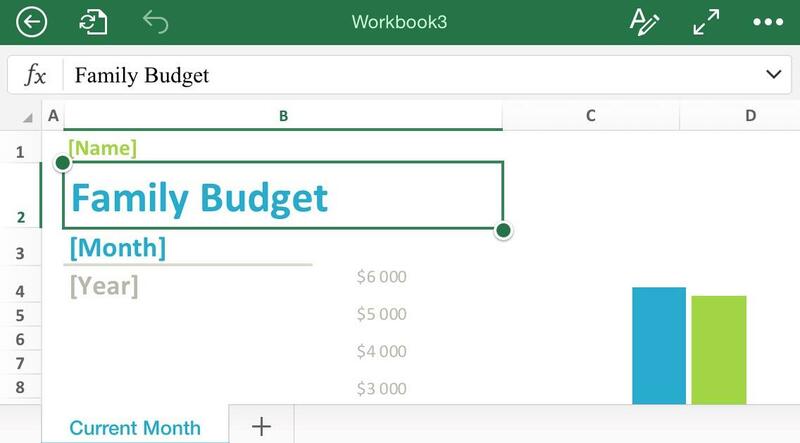 As Excel for iOS was optimized for mobile devices, the ribbon is not available on the top of the screen when you are using an Iphone, although many of its customization options will pop out once a cell is tapped. This problem is, however, solved in the Ipad version. Finally, while you can visualize comments embedded in an existing document, you won’t be able to edit or create them.